Derrick Story calls it “Start where you are” when referring to organizing and archiving your photos. In other words, plan now for a new start and go forward with the plan with new photos in 2012 (or whatever start date you choose). Takes the pressure off of doing all your past photos. 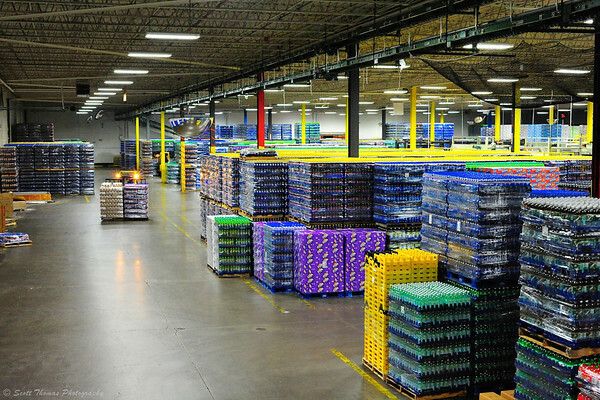 A collection of soda in a warehouse is organized by names and location. Are your photos organized? If you already have a system then congratulations! For those of you who do not or have never considered one, here are some links where I explain how I do it. If you start thinking now about organizing your photo library for the future, you will be ready for the new year. If you have any questions or wish to share your photo organizing process, please, leave a comment below. This entry was posted in Photography and tagged archving, keywords, naming, organize, photo management, plan. Bookmark the permalink. I let Photoshop Elements organize mine, but they are only organized by date. I’m pretty sure it would allow me to use some of your methods too, but I’ve always been to lazy to do more than date. Of course this is making the process of completing your new assignment somewhat arduous. I have a question, not sure if you’d know the answer, but it is related to this subject. I don’t have an external hard drive for storing my photos – I know, I know, I need to get one! When I do eventually get one, do you have any idea if the photo files would remain in their date folders when they get transferred to the new drive? I am not very familiar with Elements so I am sorry I can not help there. Look to see if it has a way of moving photos so that it still keeps track of them. That is something I know Aperture 3 (the software I use) can do. Currently, I use an USB external drive to backup my photos (along with my SmugMug account). I am looking for a NAS (Network Attached Storage) drive where I can move my older photos to as my laptop hard drive is running out of space. Yup, all my photos are organized…. Then at the end of the year ALL those folders are put into an (in this case) 2011 folder. Guess I could do that at the beginning of the year, but I save it for the end. I do it very similar as you but let Aperture do the renaming for me when I pull the photos of the memory card unto my computer. I do setup folders for the year and months at the beginning of each year and then fill them as I go. I just figured out how to “tag” my photos. 🙂 So I am in the process of going through ALL my photos and tagging them, i.e. “nature”, “snow”, “trees”, etc. So several tags are assigned to each image. In going back through my images I am doing a lot of deleting. That separation of time, since I’d taken the shot, makes it easier to delete ’em. Good for you! You’ll find it far easier to locate photos in the future. It is time consuming but so worth it. Doing so has saved me time and earned me money. I just have it by dates and it seems to work for me for now. Thanks for the links and tips, something that I need to start doing and get more organized before it becomes a nightmare.